In a bid to curb examination malpractice in the country, a template that will prevent cheating in examinations is being developed by stakeholders in education and anti-corruption. 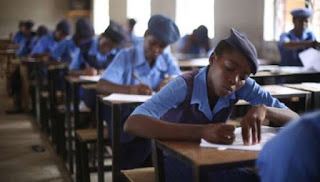 The Independent Corrupt Practices and Other Related Offences Commission (ICPC), in collaboration with examination bodies and other stakeholders says the initiative will bring malpractice in examinations to its barest minimum. Last year, the West African Examination council reported over 200,000 cases of malpractices in its May/June senior secondary certificate examination. Addressing participants at the second phase of an ICPC sensitisation workshop for officials of examination bodies and other stakeholders in Abuja on Thursday, Nta shed more light on the initiative. Represented by Mr Elvis Oglafa, the Secretary to the commission, Nta said the fight against examination malpractice in the country called for a multi-dimensional approach of enforcement and prevention. According to him, the template being developed is for monitoring, reporting and prevention of the malpractice, especially at the secondary school level. The ICPC chairman said that a working group would also be set up to aid the commission with information leading to the arrest of culprits. He enumerated some initiatives already taken by the ICPC in this direction, including the development of the National Value Curriculum being implemented at all levels of education in the country. “ICPC initiates interventions such as these because it is part of its mandate as stated in Section 6(b-f) of the Corrupt Practices and Other Related Offences Act 2000. “The commission has the responsibility of identifying possible gaps that may give rise to corruption in the system and working toward closing such gaps so that corrupt acts do not take place at all. Nta stated that the need for an effective prevention mechanism for examination malpractice in the country could not be over-emphasised. This, he noted, was in view of the persistence of the menace despite enforcement mechanisms put in place by the examination bodies to address it. He said the draft template would be forwarded to all chief executives of examination bodies with follow-up interactions on the way forward. The Acting Head of ICPC Education Department, Mrs Azuka Ogugua, said the first phase of the workshop held last November, focused on the causes and prevention of malpractices before, during and after examination. Ogugua said the participants were expected to further brainstorm for the development of an effective and workable template to stamp out examination malpractice in the system. “The commission appreciates your role as key stakeholders whom we have to mobilise to join us because ICPC cannot fight alone. “We need the inputs of all the stakeholders, especially those in the sector, those working around the sector and those monitoring the sector. “Working together we hope to strengthen our educational system and achieve the commission’s vision of an education sector that is ranked among the best, internationally,’’ Ogugua said. Participants in the workshop were drawn from examination bodies including the West Africa Examinations Council (WAEC), the Joint Admissions and Matriculation Board (JAMB) and the National Examinations Council (NECO). Representatives of security agencies, civil society orgnaisations and the Federal Ministry of Education also participated in the forum. 0 Response to "ICPC, exam bodies move to curb malpractice"